Aside from an array of exceptional residential properties throughout the Houston area, Connect Realty also has plenty of commercial properties available. Whether you are looking to invest, relocate your business, add a satellite location, start a home business, or build a residential or commercial development, Connect Realty has a number of commercial properties to suit your needs. Located in the heart of the Cleveland Medical Center and other medical-related businesses, 401 E. Crockett is ideal for medical professionals who have offices in nearby areas and are interested in opening a satellite location. Situated just 23 miles from Kingwood and Conroe, 33 miles from The Woodlands, and 28 miles from Livingston, doctors expanding their practice would enjoy a successful satellite office at 401 E. Crockett. In addition, this double-suite offers an opportunity for investment, as one or both offices can be leased to doctors or other medical professionals. Its excellent location has provided high visibility which has led to excellent clientele in the past, and the office remains well-known by the residents in the Greater Cleveland Area. Convenient parking in front of and behind the building completes the appeal of 401 E. Crockett for a medical office. If this property interests you, click here to learn more. This property is home to an established equipment rental business and is located at the Northwest corner of Interstate 10 and Beltway 8 on an 85,653 square foot lot, just 550 feet off of I-10. On the property of 14519 East Freeway, you will find a 1,600 square foot office that was built in 2008 as well as over 6,000 square feet of additional units, including a paint shop, drying building, repair shop and more, with five total units on the property. Its excellent location and provides optimal visibility, and the building is 100% occupied. Therefore, 14519 East Freeway offers a prime opportunity to immediately earn back money for investors. To inquire about 14519 East Freeway, click here. Situated on 7.244 acres of unrestricted land with Gosling frontage, 23901 Gosling Road is ideally suited for a retail or office location, but can also be used for residential pursuits with a five bedroom home and industrial kitchen located on the property. With its high traffic and visibility on Gosling Road, coupled with a close proximity to a number of large neighborhoods in Spring and The Woodlands, 23901 Gosling Road is an optimal location where businesses will thrive. An abundance of trees have already been cleared from the property to provide plenty of space to start development, and additional trees can be removed as needed. Gosling Road is rapidly growing with retail centers, service stations, neighborhoods and more in development stages. For those interested in the property for residential use, 23901 Gosling Road includes a gated entry and long driveway for privacy. If this sounds like the commercial or residential opportunity that you have been looking for, click here for more information. As inventory around The Woodlands and Houston area remains low, the demand for new homes remains high to accommodate the ExxonMobil relocation, in addition to others relocating to the Houston area for job opportunities. While 10191 Sleepy Hollow is a desirable location for business development with its close proximity to The Woodlands and I-45, this is a prime lot for residential development with 117 acres of unrestricted land. 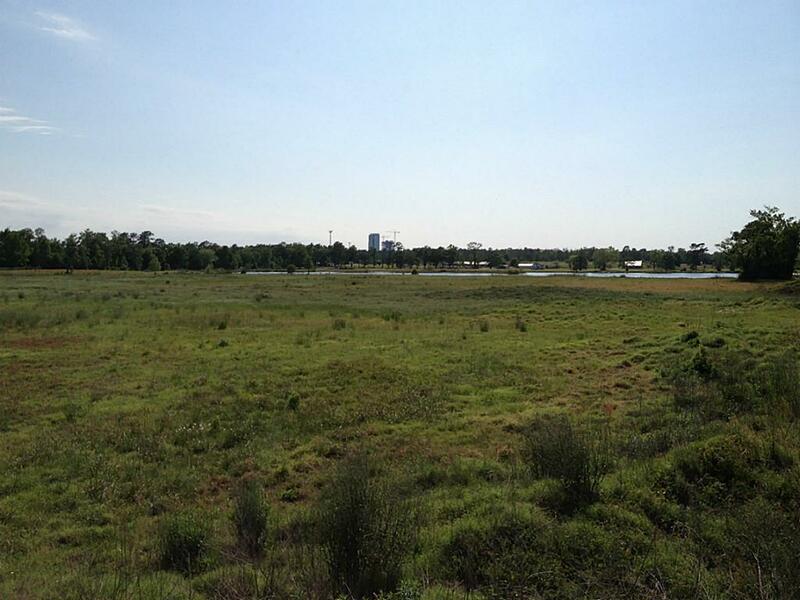 In fact, this may be the largest continuous tract of land this close to I-45, The Woodlands and future ExxonMobil site. Three entrances allow access to 10191 Sleepy Hollow, attributing to its exceptional appeal for home builders. Its excellent location also provides numerous linkages and visibility for those interested in a business complex. A shallow, 17-acre lake and two farm houses currently sit on the property. For more information about 10191 Sleepy Hollow and its benefits, click here. If you are looking for a commercial property or investment opportunity, but are interested in a different location, size or price, find more commercial properties in the Houston area here.